Are you finding your computer system turning slow as compared to its speed when you first brought it? Well, degradation in performance happens due to the cache that builds up in your system. This makes every process slower, especially if you have multiple apps open at a time. Windows 10 users can clear up the cache to speed up their system. Temporary files tend to build up with time and accumulate in the system caches. The only solution is clearing the cache time to time. It not just improves the performance, but also releases free space. Cache is not all bad. It tends to help open pages faster as well as help applications perform better. So, clearing cache from your Windows 10 PC can be done monthly or every two months. Let us see how to clear all types of cache from Windows 10. There is a lot of cache build up in Internet browsers if one uses the Internet regularly. One may use Microsoft Edge, Chrome or Firefox as their default Internet browser on Windows 10. Those using Microsoft Edge need to click on the three horizontal dot ‘…’ on the top right corner of the browser window. Navigate and reach Settings>> Choose what to clear. Here, you can select all that you need to clear including browsing history, cached files, data, cookies, etc. You can click on ‘Clear’ and successfully clear the browser cache from Edge. Those using Google Chrome need to navigate to Settings >Show advanced settings> Privacy> Clear browsing data. Clear the cache files and images by selecting From Beginning of Time. This will clear all the cache from your browser. Mozilla Firefox users need to go to Options> Advanced > Network. You will find an option that says Cached web content. You have to select Clear Now and clear all cache from Mozilla Firefox. Desktop cache stores data for all the downloaded programs and applications. It helps in speeding up tasks, but it requires clean up regularly. A window will open and you need to select the drive. Once the drive is selected it takes time to process and then shows you a disk cleanup window. Now, click on the program files, system files and click on OK.
Windows Store’s tends to store lot data and clearing it up will help boost the speed of your computer as well as free up used spaced. Open Run or press Windows key + R.
A new window will open and just clear the Windows Store’s cache from Windows 10 PC. Temporary files are created daily on Windows 10 system. They are intermediary files and created every time one modifies or creates a new file or folder. Select the drive in which Windows is installed. It is usually C drive and once selected it takes a little time to analyze all files. Just like Temporary Files cache, follow the steps and select ‘Thumbnails’ as well from the cleanup window. DNS cache occurs when you visit a website from your web browser; the computer saves the DNS route of that website. When you clean DNS cache from your browsing history, it helps in enhancing Windows 10 PC. 1.Go to Start Menu and type ‘cmd’. 2.Type ipconfig/flushDNS in the command window and hit enter. 3.It will process the result quickly and clear your DNS cache. 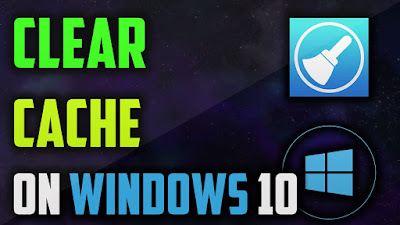 This all about how to clear all types of cache from Windows 10. Do keep clearing cache from your computer every one or two month to keep your computers running smooth and fast.